A truly unique experience. An extraordinary place to stay with it’s unmatched view from the balcony overlooking the gardens. 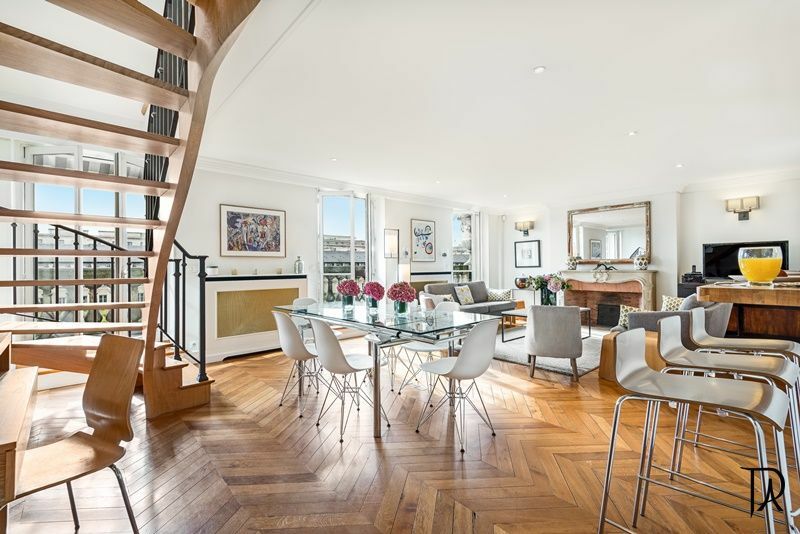 This amazing apartment within the Palais Royal is a real treasure. 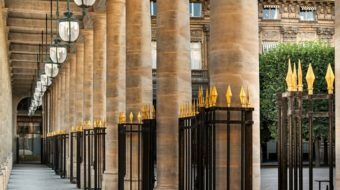 The Palais Royal is a palace located opposite the Louvre and a few steps from Opera. 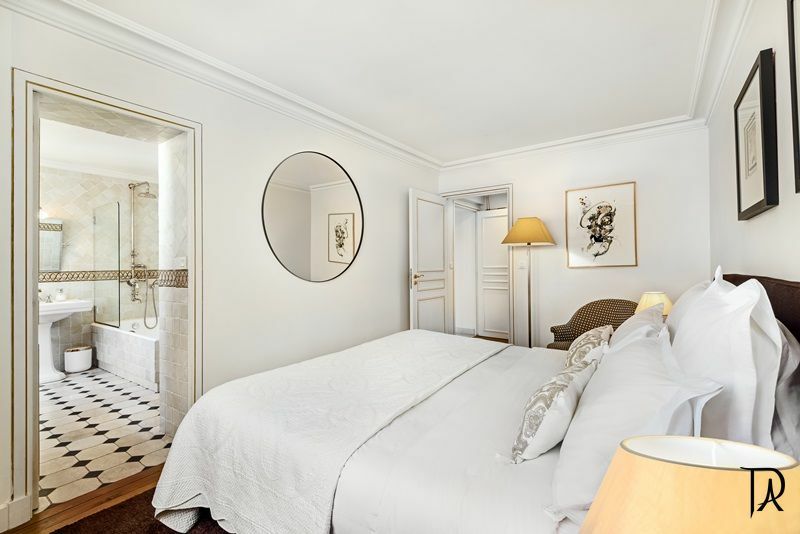 A prime location in the very heart of historical Paris. Through time, it’s inhabitants include prominent figures such as Cardinal Richelieu, King Louis XIII, Louis XIV and the Bonaparte family. The building elevator takes you to the 3rd floor, then you walk up one more flight to reach the apartment. 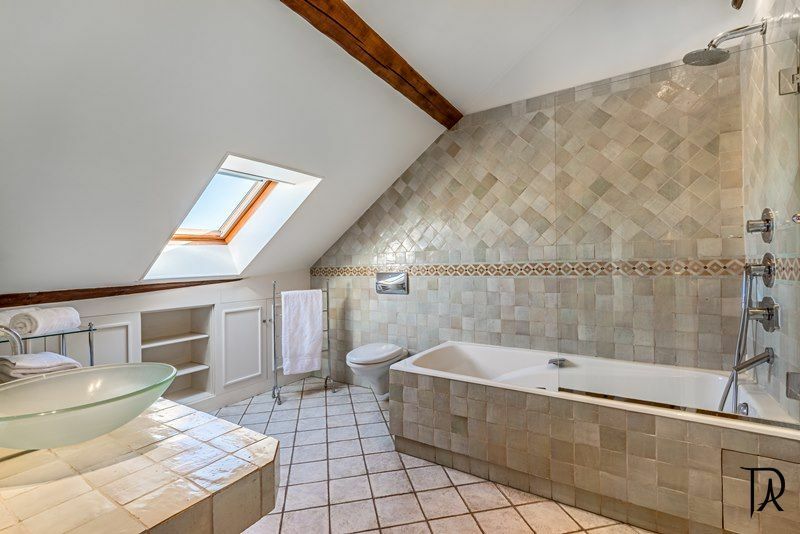 This superb apartment has a great layout on two levels comprised of three bedrooms, one which has a splittable king size bed, and three en suite bathrooms and a separate fourth WC, the master bedroom has a lovely spacious terrasse. 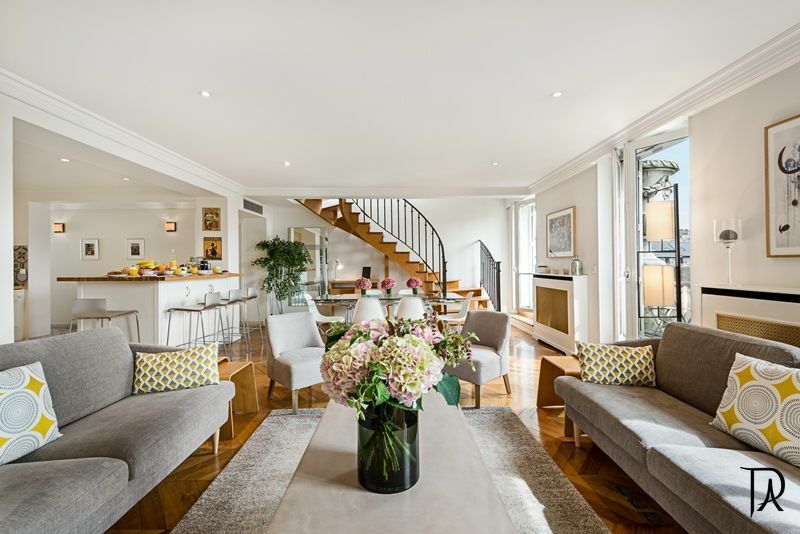 There is a spacious and combined living room and dining room in a very bright and open space with a kitchen. The apartment has been modernized to give maximum comfort and to make your stay unforgettable. Our stay was perfect in everyway. 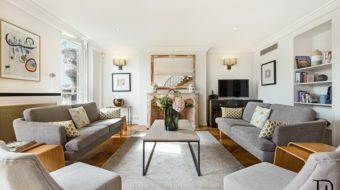 We were warmly received and the apartment was even lovelier than the pictures. The location in Paris was perfect. Our host could not have been more helpful – there a binder full of information in the apartment, but more than that Fanny was so responsive to email questions. She even made restaurant reservations for us. I would recommend this apartment very highly. We will certainly be returning! 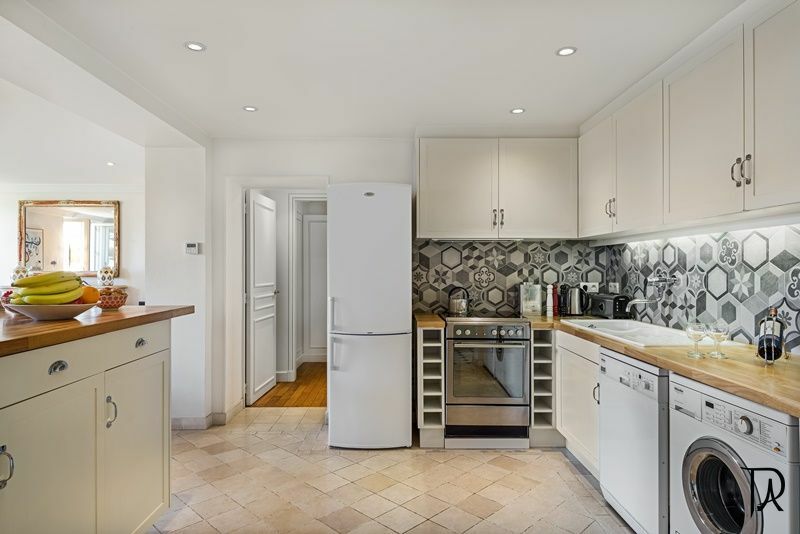 This apartment offers great privacy, with 3 separate bedrooms and large full baths for each. It also is extremely well-built and, therefore, quiet. The location and setting are exceptional. We would definitely recommend and would rent again if the opportunity arose. 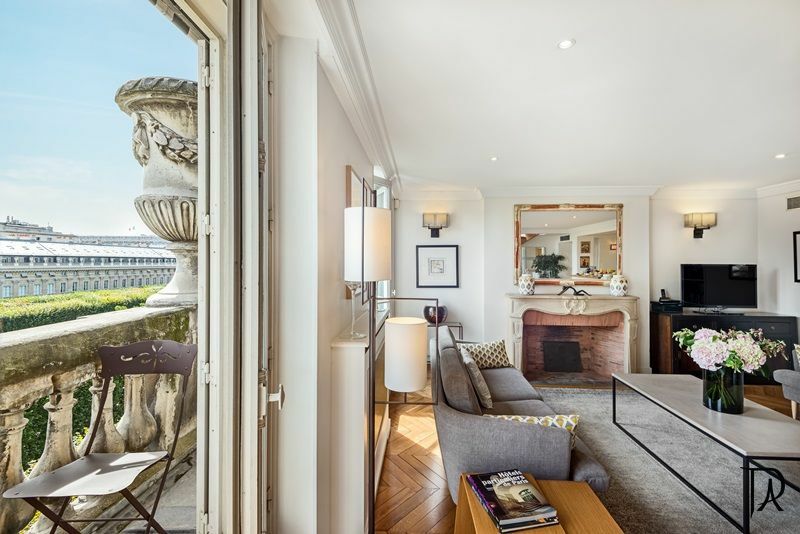 We rented your 3 bedroom 3 bath apartment at 30 rue de Montpensier, overlooking the gardens of the Palais Royal for a spectacular week. We were there with two daughters and their husbands. Everything about the rental was a 10: Service, Value, Attractiveness and Overall. We also gave the weather a 10! In many trips to Paris we have never had such lovely constant sun and great temperatures. The location is central, lovely and quiet. The welcome from Pierre Louis was cordial and generous with suggestions. He patiently answered all our questions and someone was always available to us by phone. However the apartment is so comfortable and well stocked that we never needed to call. 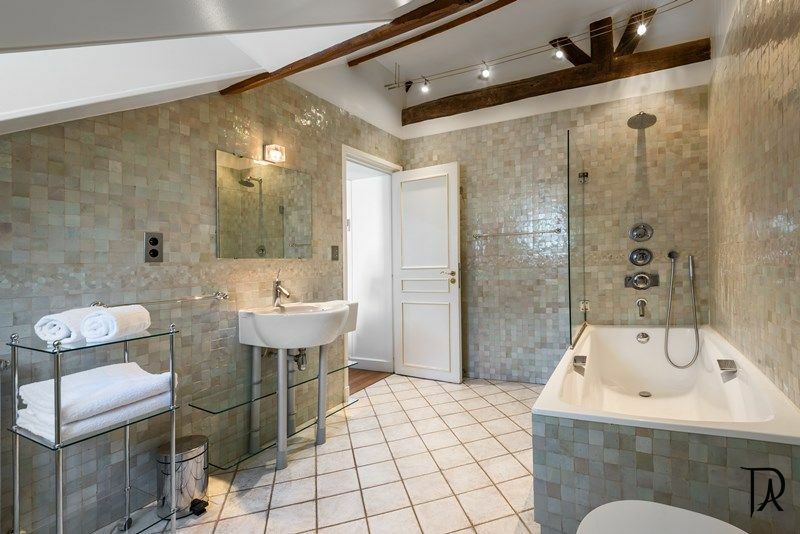 It is an ideal setup for three couples as each room has its own bathroom. If we were to return with two other couples we would definitely try to rent this apartment again. Merci beaucoup! Great accommodations. Exactly a pictured. Neighborhood was perfect along with the great view of the jardín. Paris vacations were very attentive and covered all of the details. Great communication throughout. The apartment, location, and service provided by PVA were outstanding. We had 6 adult family members in one apartment, and the accommodations could not have been better. 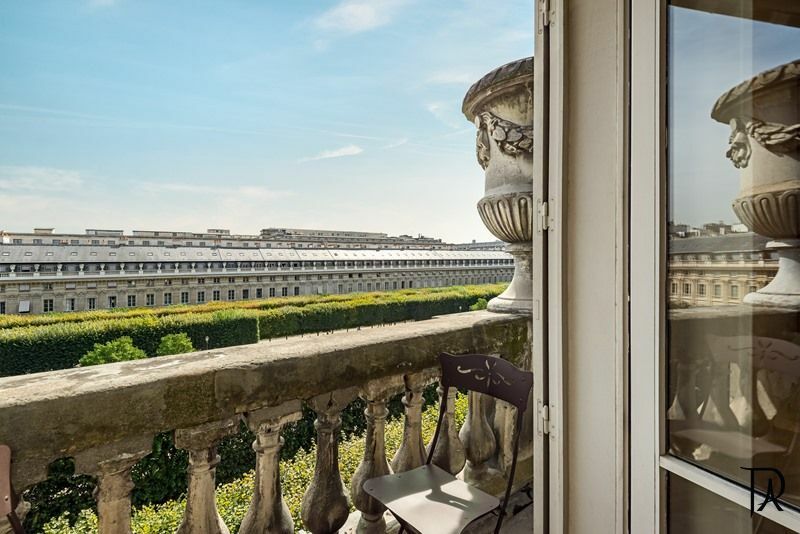 We (5 women friends) rented a 3 bedroom beautiful apartment in the Palais Royal Gardens. Clara met our first to arrive at the apartment to show her around. She was very helpful and knowledgeable about the area, with great recommendations for restaurants and shopping. The apartment was impeccably clean and looked better in person than it did on the web. 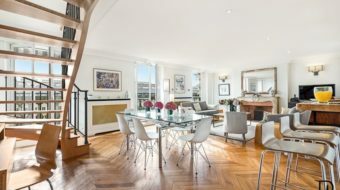 I would recommend parisvacationsapartments.com to anyone. I am BJ Anderson, one of the dozen or so Melde family members who visited Paris with Becky and Craig. 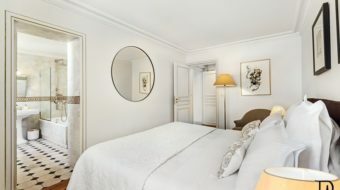 My partner Shari Melde and I frequented the Palais Royale apartment several times for dinner, meeting up with others, and for naps! It was such a pleasure just to be in the apartment! 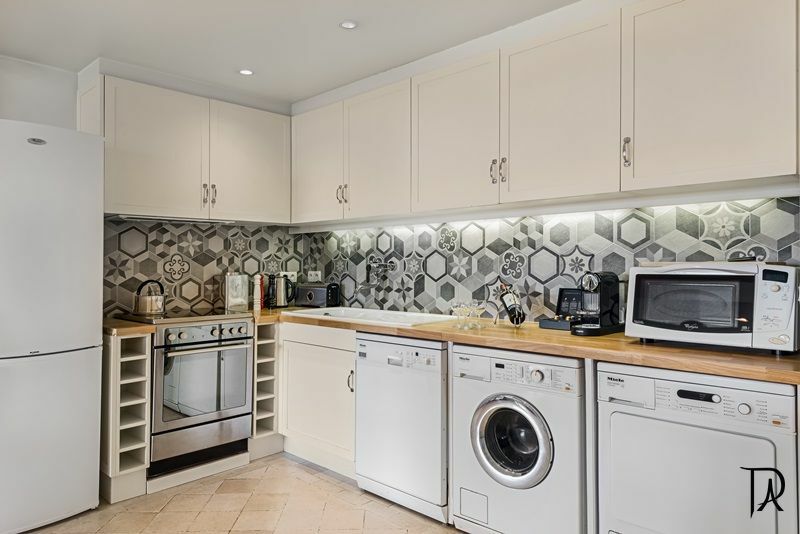 Comfortable, beautiful décor, very inviting, with all modern appliances and a wonderful big kitchen. 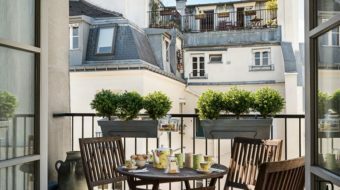 And the location was great for us — it was closer to the Seine, the museums and other attractions than our little six-floor walk-up rental, so it made our whole week easier to manage. I agree with Becky, your apartment was one of the highlights of our trip! 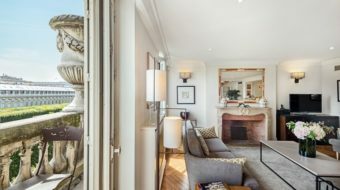 The apartment was one of the highlights of the Paris week long visit due to comfort, location, amenities, and views. 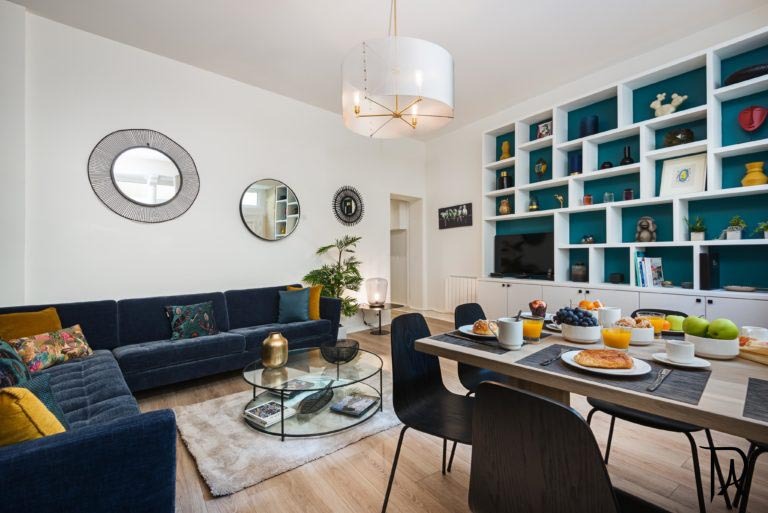 We wanted to be independent sight seers, on our own with varied, flexible schedules and the apartment exceeded our expectations for those needs. Clara was thorough on all instructions and answered every one of our many questions. She arranged transportation, helped with dinner reservations, and coordinated when the maid was and wasnt scheduled. (We didnt realize that maid service was included so that was a real treat. We had late night partying young adults with us so we did not want maid service everyday at 9:00 AM)! Clara was great with voice messages and returning phone calls. Her English was good. We only slept 7 people in the apartment. It was real easy with the 4.5 bathrooms, and sleeper sofas. 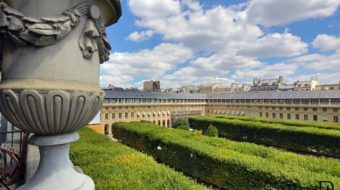 Friends showed up at the apartment just to relax after sight seeing and enjoyed the balconies looking over the street/rooftops and glorious Palais Royale Gardens. Ea ting in the apartment with the fine, open kitchen was delightful. Fresh ground coffee was provided (another surprise) as well as other provisions to get us through the first day or two. Grocery and convenience stores were close by. 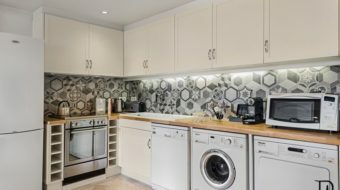 The washing machine, dryer, and dishwasher were great to have and easy to use with products provided. 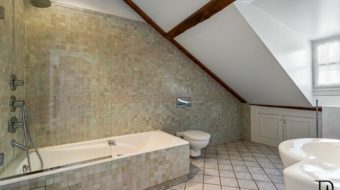 The bathrooms and bedrooms were roomy and comfortable. Bathrooms actually were amazing! 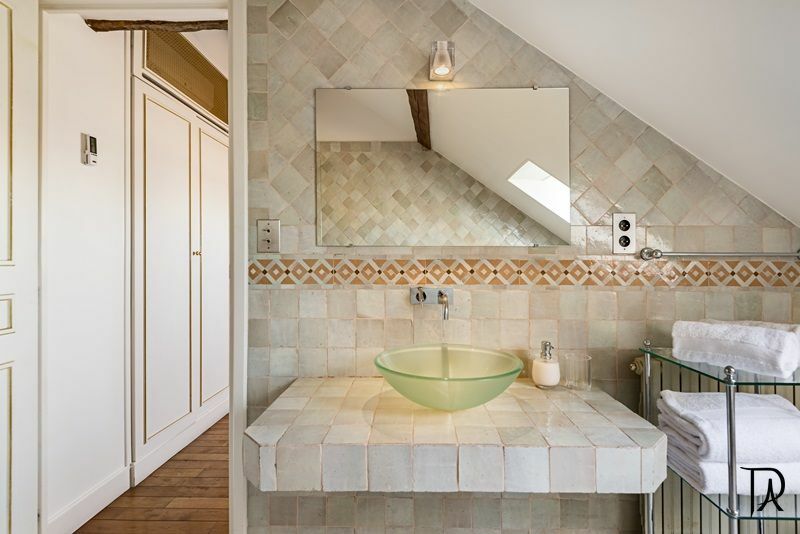 Beautifully designed and great showers/tubs. The sky lights were beautiful on the upper floors. There were no problems at all with the temperature of the apartment on either floors. Doors and windows opened for fresh air as needed. It was really nice to have the computer, telephone and TV available to us. Much more than we expected. The emails replies in advance of our stay were professional and very, very informative! Numerous attachments were sent with information about anything you could possibly want to see or need. Thank you for all the detailed work on those! Communications were excellent. My family loved this apartment. We have travelled to Paris numerous times, but this was by far the best apartment we have rented. It was very spacious, and fitted with every conceivable amenity. The position can not be beaten- close to the Metro, but we walked everywhere. We thoroughly appreciated coming back to a spotless apartment after a hard day of touring, shopping and eating. Our only gripe is that the window furnishings were quite poor in the bedrooms, because we travelled during winter it was tolerable. However, the street light outside the master bedroom downstairs did keep me awake. Despite this minor flaw, I would not hesitate staying here again (but with eye patches). We rented your appartment for a week for friends coming from North and South America. They were very pleased with the nice view on Royal Garden. 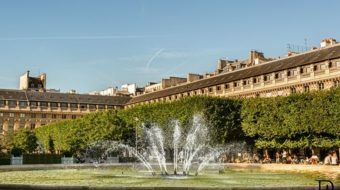 The location is excellent for visiting Paris but also for attending business places in Paris and arround. All Public transportation are just nearby. The contact with the team at PARIS VACATION APARTMENTS was great from the very first contact until we gave the key back. Service is excellent. We strongly recomend the experience. Much more fun than going to 4* parisian hotels and make you feel like living a Parisian life for few days. 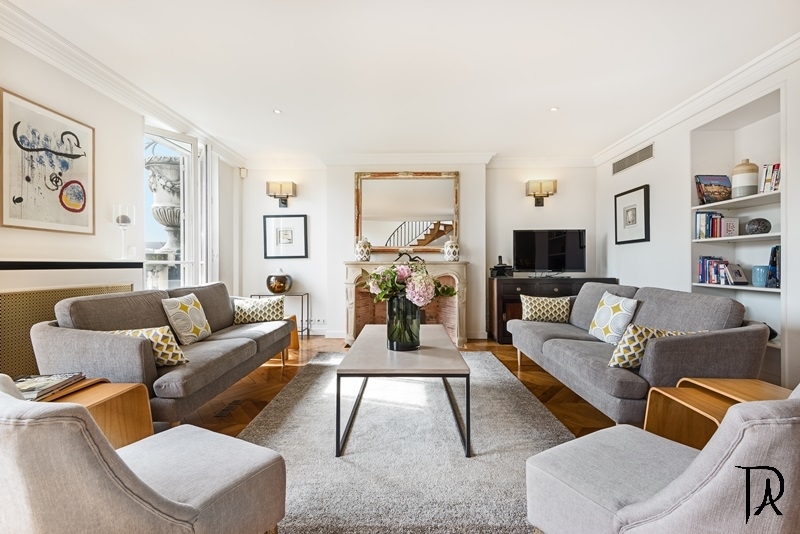 We have used short-term, serviced apartments throughout the world on numerous occasions. The Palais Royal is the very best of any place we have stayed. 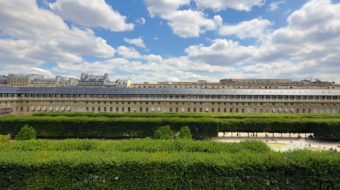 This was our third stay in the Palais Royal and our fourth stay with Paris Vacation Apartments. I have to admit to being surprised how each stay has been better than the last. Usually similar vacations begin to seem old and uninspired, but that has never been true with our trips to Paris and I give PVA a large measure of the credit. The apartment is immaculate, comfortable, elegant, and inviting. 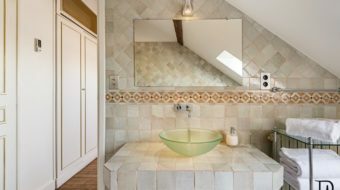 The bathrooms make you want to go home and redo your own. There is something special about the apartment that makes it simultaneously stimulating to be in Paris yet completely relaxing and peaceful. I am certain that we will be staying with PVA again in the future. The apartment was the perfect Paris apartment to celebrate my 40th birthday with family and friends. There were no surprises when we arrived. The apartment was spotless, beautifully furnished and very quiet even though we were close to everything. Emily was very thorough in reviewing all of the appliances and the local area surrounding the apartment. We were pleasantly surprised with daily housekeeping too. The balconies were the perfect gathering spot for us to meet before dinner and have a glass of wine while sharing all of our memories of the day. 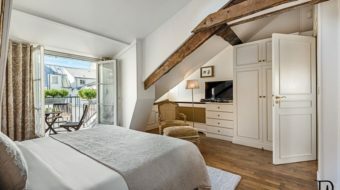 The next time i come to Paris I will definetly be renting from Paris Vacation Apartments and would highly recommend them. The apartment was perfectly located. Central to all attractions, shopping, Metro, etc. We were a party of three couples in Paris to celebrate my 60th birthday. 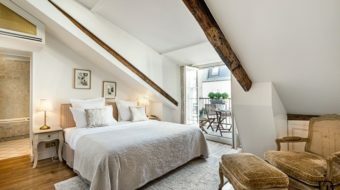 I can’t think of a better place to have stayed while in Paris. The apartment was lovely, well cared for and a pleasure to come home to after seeing the sights of Paris. Karina was a delight to deal with. She was only a phone call away and was immensely helpful in making dinner reservations for us and even arranged for two taxis to take us to the Moulin Rouge and arranged for them to be there after the show to take us back to the apartment. Everything was handled in a friendly, professional and efficient manner. 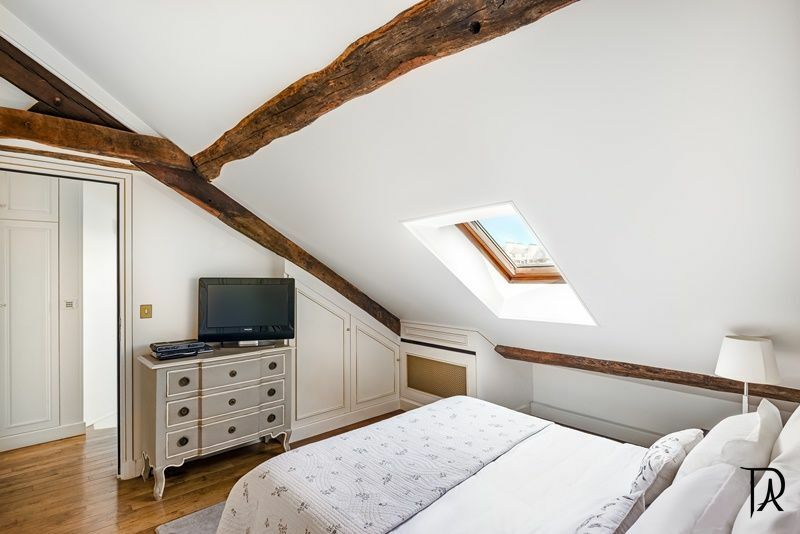 I would not hesitate to recommend Paris Vacation Rentals to potential vacationers!. 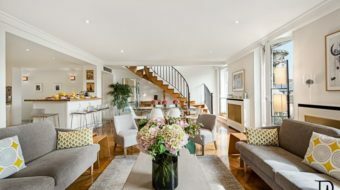 The Palais Royal Apartment was truly a home away from home! From the moment we arrived, we knew we had made a great decision to rent the apartment. We were cordially met and given a tour of the apartment (we were given flowers and a bottle of wine!). The apartment is spacious to say the least. 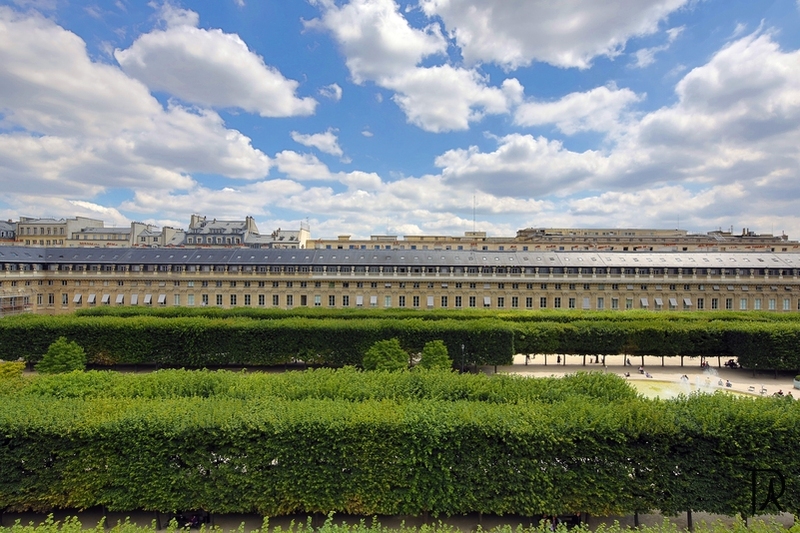 Great view out the large back windows looking onto the Palais Royal Gardens. The apartment had all amenities, including 2 terry bathrobes per bedroom (two other couples were with us, all with separate bedroom and bath). The next time we come to Paris, this is the only way to stay. 7 women, one man, it was perfect. Felt like home, plenty of space, loved the housekeeper (Madame Taibi), she was so sweet, so nice to come back to a clean place. This is paradise in Paris!! The view is fantastic, the is great, the location is wonderful, the beds are confortible, and all is perfect. 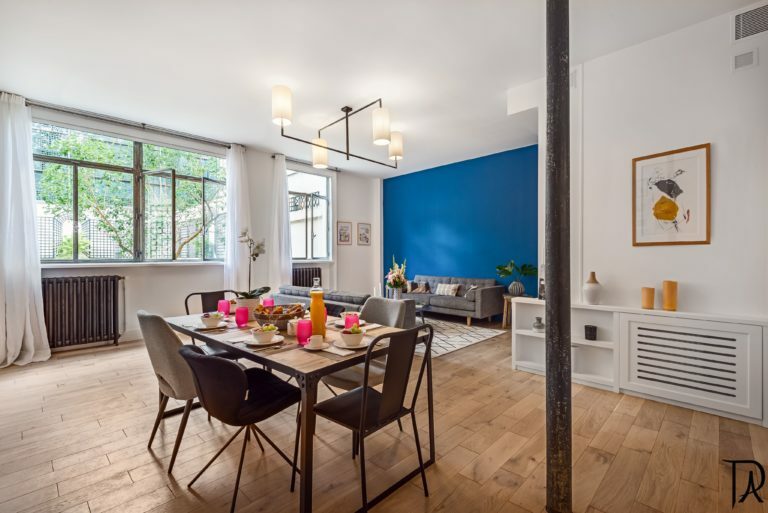 My only hesitation in recommending this apartment is that it will be more difficult for me to book it in the future if too many people know how great it is. 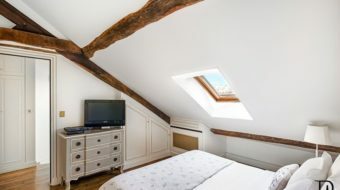 Frequent travelers to Paris, we’ve stayed in several accommodations over the years. This 3-Br apartment is our favorite of them all. 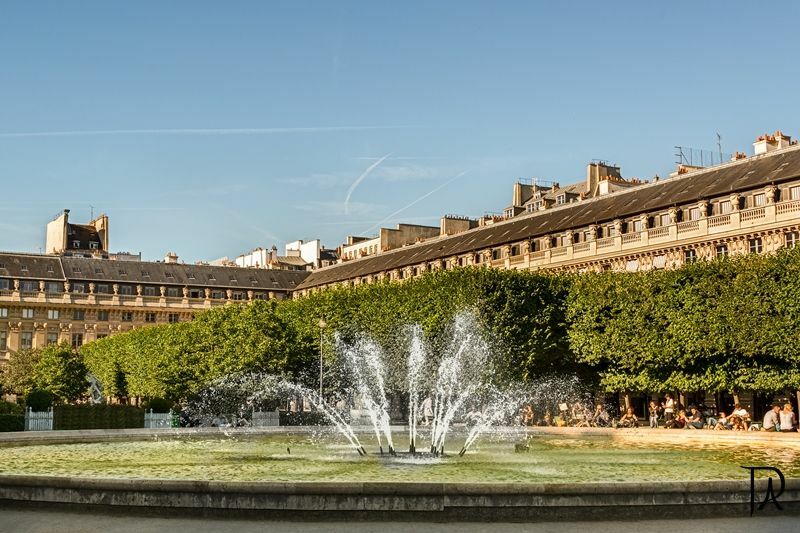 The central location, 1st arrondissement, is superb for access to metro, shopping and dining. The staff is friendly, available and most helpful. Well-stocked and spotlessly clean, it is truly a ‘home away from home.’ We will definitely be back! There were four of us staying in this apartment. First the apartment is even more beautiful than the pictures. Second the information book with the apartment is extremely helpful. Before arriving at the apartment I wasn’t sure which bedroom I wanted. I enjoy a nice luxury bath. 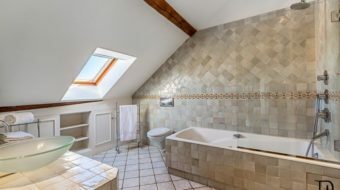 So I wanted a room with the nicest bathtub. You could say my choice was tough. All the rooms had great bathtubs and were great overall. The next item is location. 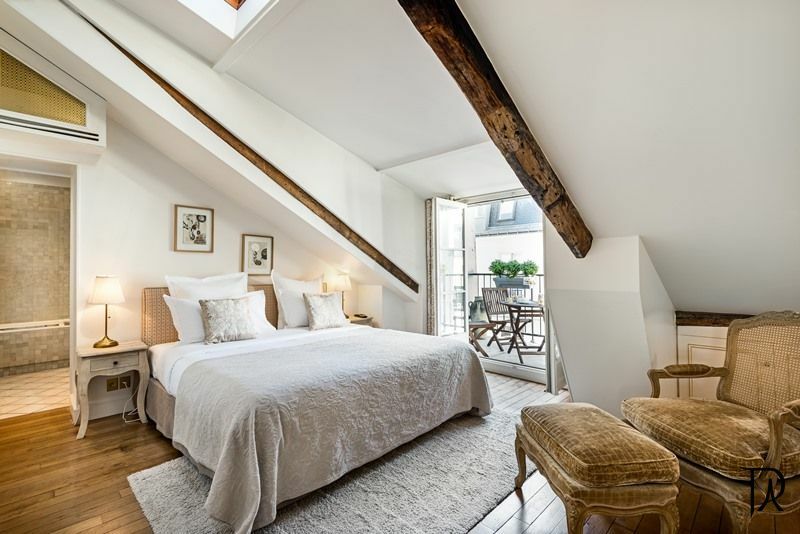 If you have never stayed in central Paris you are missing out. This apartment was a very easy walk to the Metro. Nice shopping and restraunts locally. I am not a person who walks alot. But I found myself getting up early and walking just for the pleasure of walking the surrounding area. The apartment was great. It seems impolite to say staff when talking about the people associated with the apartment. They were more like new friends. 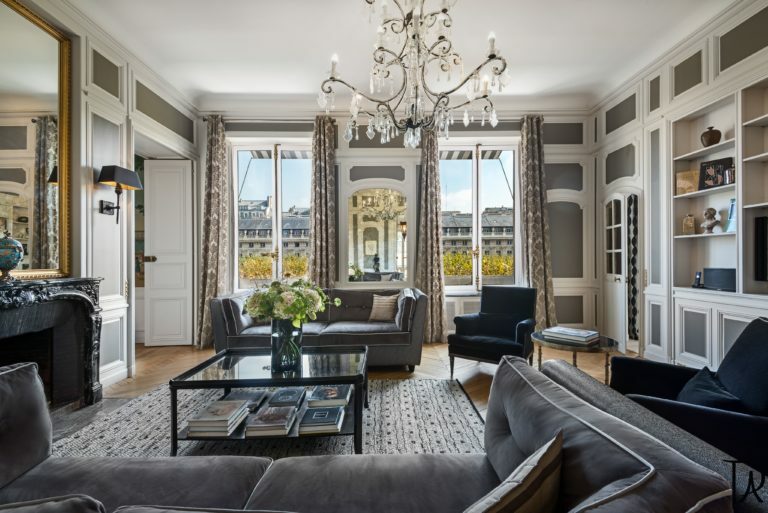 Best We were delighted with the two apartments we rented for 3 weeks in the Palais Royal. Our rental car driver waited over 2 hours for us at the airport. We were greeted on arrival by a charming young lady who explained every feature of the telephone and computer equipment and anything else we were not familiar with. The apartment guardian (concierge) was always helpful. The location was wonderful. We were able to walk to so many places and the metro station was only short distance away. The Palais Royal gardens were beautiful. We had a lovely view from our balcony. We would certainly stay here again and highly recommend it to our friends. Best The apartment is absolutely gorgeous, only outdone by the view from the living room. We have always stayed on the left bank and decided to try the right bank — and we were delighted by the location. It is easy to get around and the view of the gardens is outstanding. We would never have known what a wonderful neighborhood existed in this area if we had not stayed here. Excellent restaurants are nearby and transportation is very convenient. The historical background of the area and the building itself are also real pluses. The apartment is very comfortable and beautifully furnished. The bathrooms and kitchen were very modern and complete. If you want to stay in a great place on the right bank, this is it!! My family had a marvelous stay at this terrific apartment. Alex, Isis, and Marie-Laur could not been more gracious and helpful. Every arrangement they made for us was executed perfectly. Alex managed to fix my botched attempt to buy ballet tickets over the internet by intervening with the Opera Bastille ticket office. Over the past 30 years, I have rented many vacation apartments, and I have never had a better experience. 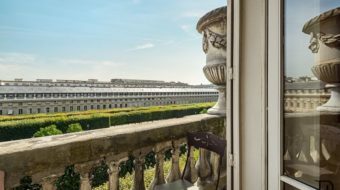 This visit was our second time at the Palais Royale, but the first experience in this magnificent apartment. Very beautifully designed and decorated. Equipped for modern living. Views that conjured historical imaginings. And, as always, Alex, Isis and their colleagues are wonderful hosts. This apartment was fantastic.I was responsable for securing an apartment for 3 couples in Paris and was a little nervous about renting on-line sight unseen.The 3 bedroom at Palais Royal had it all.Location was perfect.Two blocks from the Louvre.Modern kitchen with washer,dryer,dishwasher and fully stocked.Marie-Laure met us on arrival and explained every working detail.She couldn’t have been more pleasant or patient.The apartment was cleaned every day except weekends.This was truly the best way to visit Paris.No tiny hotel rooms and closet size bathrooms.We can’t wait to go back again. 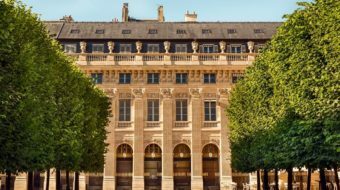 Our return stay at the Palais Royal was as wonderful as our first in 2003. The apartment is as beautiful as advertised and could not be in a more attractive setting. 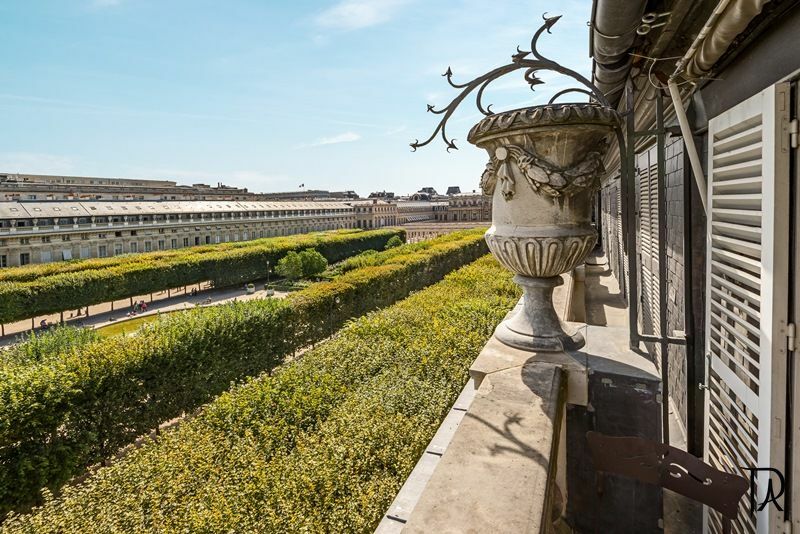 The nightime full moon view of the Palais Royal Garden from the apartment balcony is literally breathtaking. 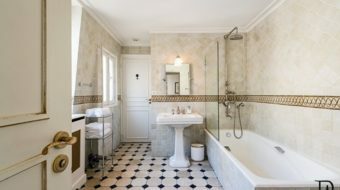 In addition to this wonderful apartment, it is the people of Paris Vacation Apartments that we will always remember with great appreciation. Alex, Isis, Leila, and especially Marie-Laure were absolutely terrific. Marie-Laure greeted us upon our arrival and was available anytime we needed assistance. 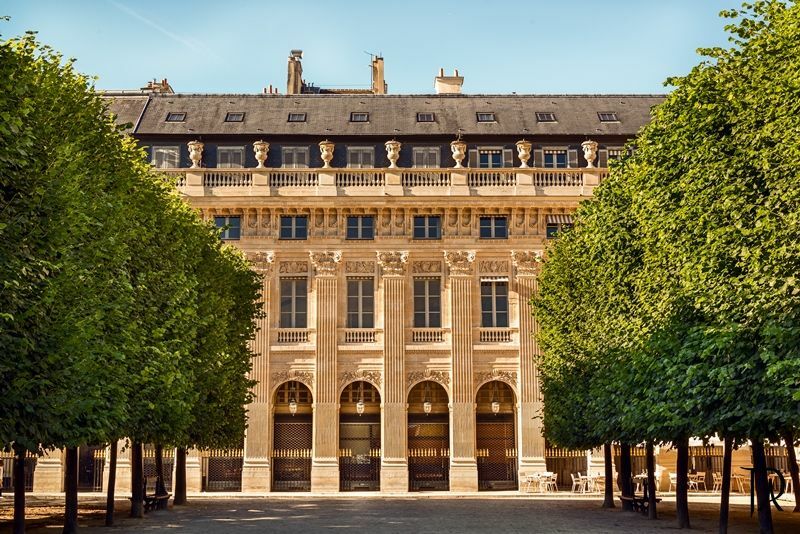 We look forward to making a third trip to Paris and the Palais Royal. 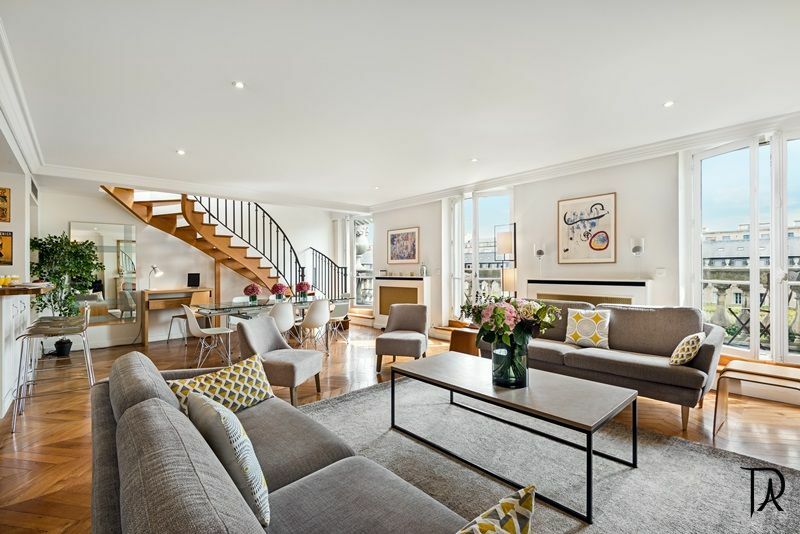 A large, attractively decorated apartment over two levels, connected by a simple, elegant staircase. 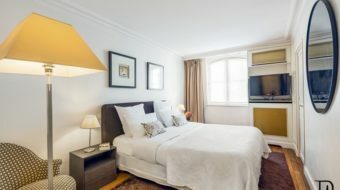 You have all the facilities you would want and the location is outstanding, being only five minutes walk from the Louvre. 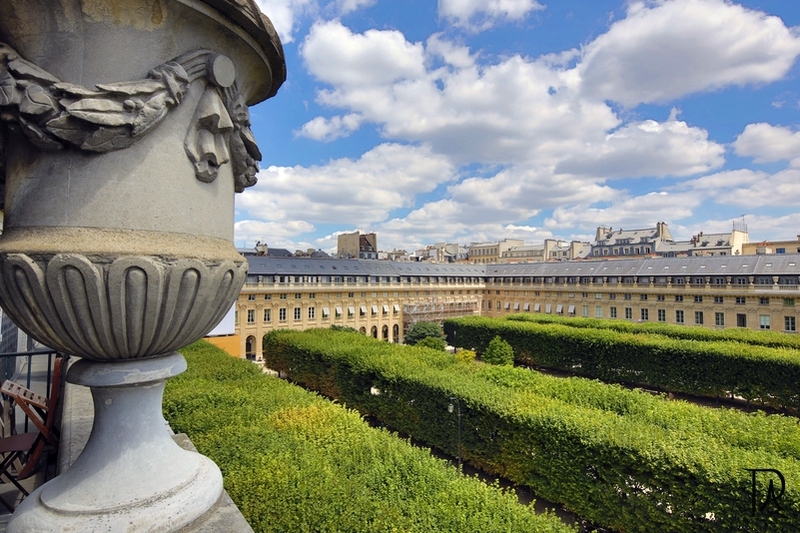 There is a beautiful view of the Palais Royale Gardens from a small balcony, which contrasts with the rather ordinary streetscape as viewed from rue Montpensier. 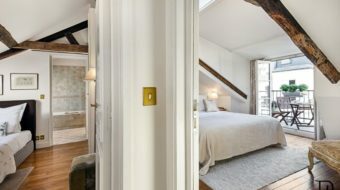 However, once inside, one is greeted by a quaint elevator that ascends a broad, ancient, winding staircase that services the occupants of this antique building. 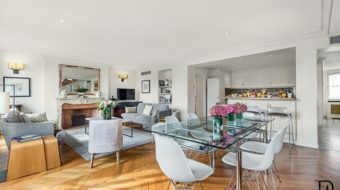 The location and quality of this apartment made our stay in Paris extremely pleasurable. We heartily recommend it to our friends and look forward to a return stay in the hopefully not too distant future. Oh my God! This was one of the best vacations we’ve ever taken…and we’ve taken a lot. 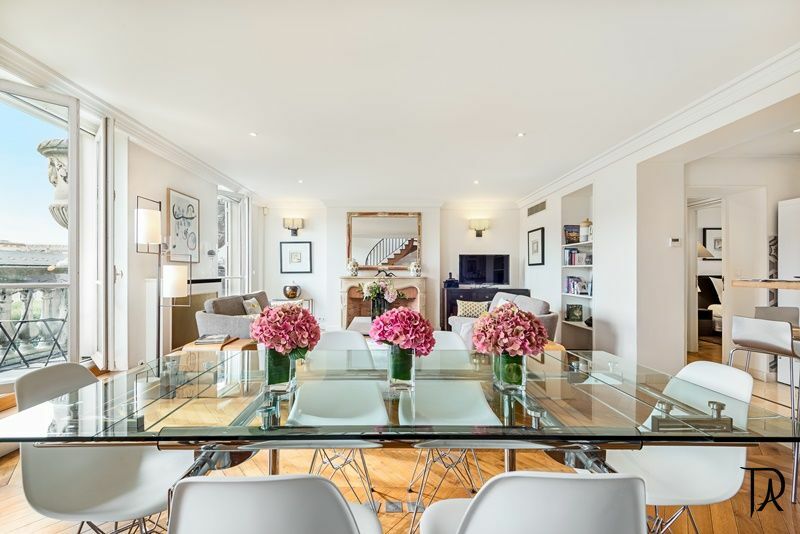 We absolutely adore Paris, and being in this wonderful apartment enhanced the experience many times over. Alex, Isis, and Cecile made everything so easy that we simply didn’t want to leave…really Cecile almost had to drag me out. 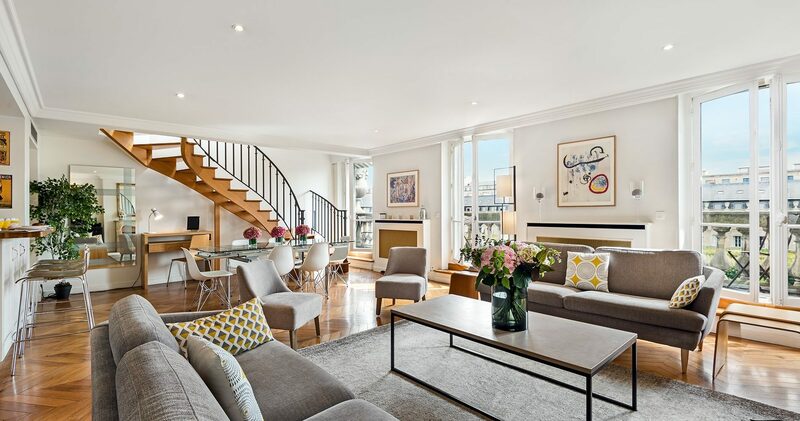 This apartment is absolutely everything that’s advertised. Very roomy, very clean, great location, maid service, and any needed help was only a phone call away. This was far more comfortable than any four to five star hotel and at a fraction of the cost…best value in Europe! Now this is my idea of what a vacation should be…Merci Alex & Isis. 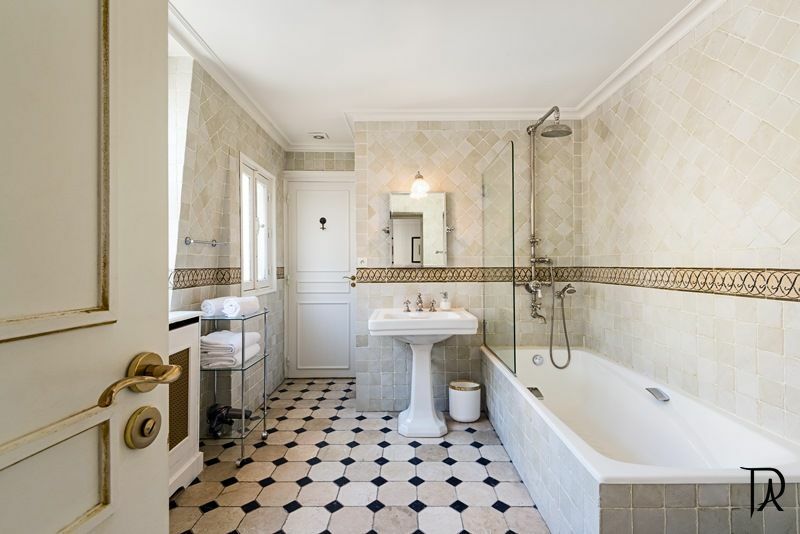 We loved the three bedroom Palais Royale Apartment. 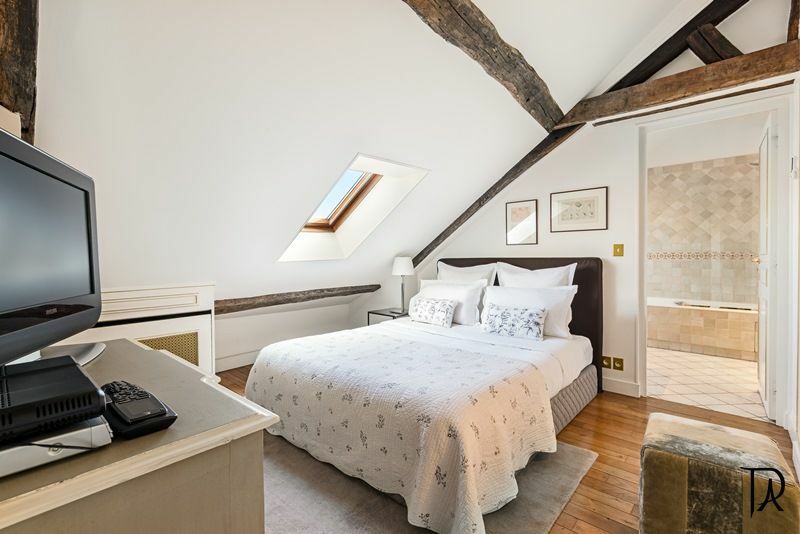 It has an unbeatable location within walking distance of most of Paris’ major sights. 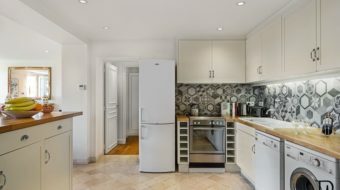 The apartment is large, clean, and comfortable with a beautiful updated kitchen and modern bathrooms. The terrace overlooking the gardens is fabulous. 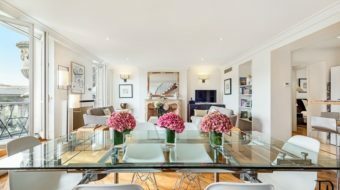 I would not hestitate in recommending this apartment and would absolutely stay there again. We spent a completely enjoyable week with our grown children in this marvelous 3 bedroom apartment. 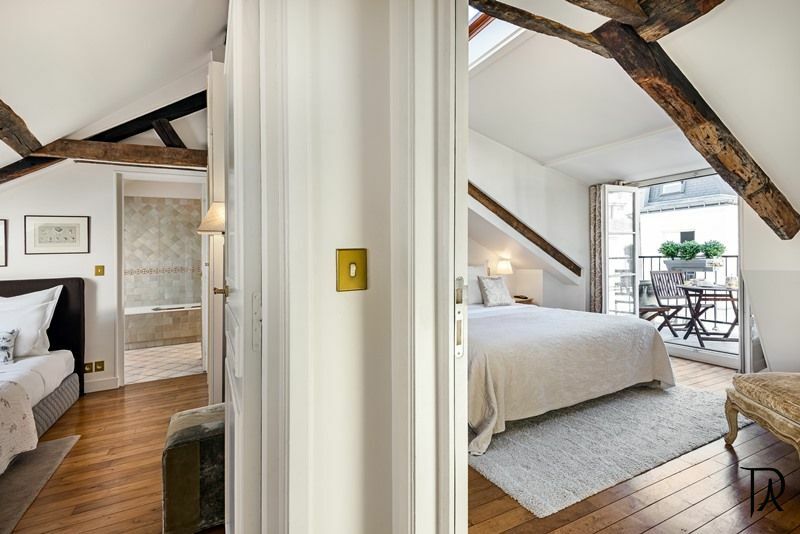 This is truly the way to do Paris if you have 3 couples. 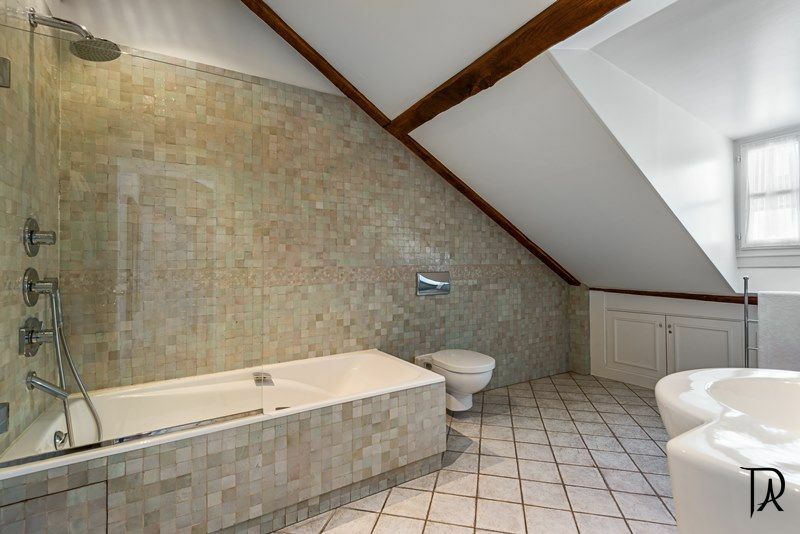 Plenty of space and privacy. 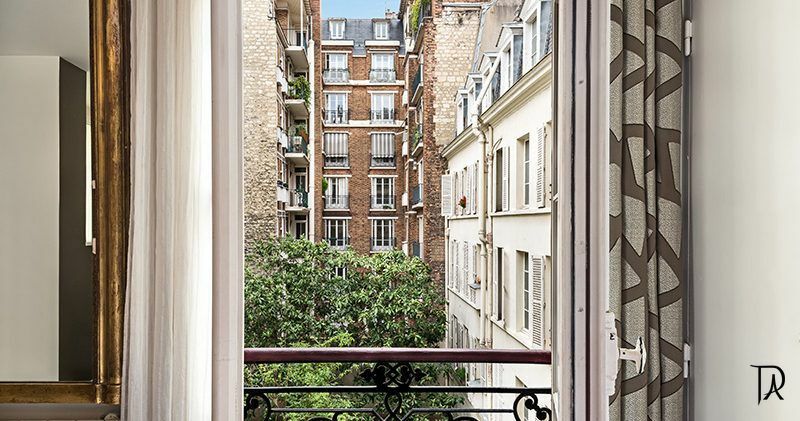 Plus, we couldn’t imagine a better location in Paris. 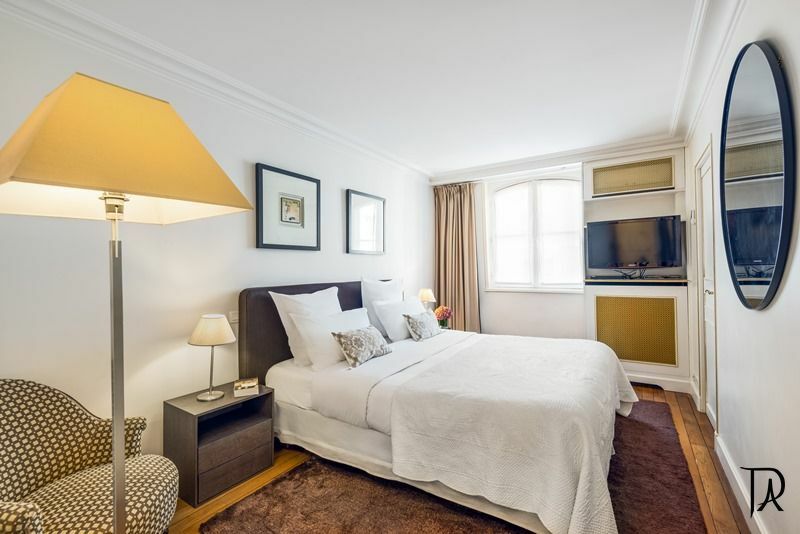 5 minute walk to the Louvre and Metro with lots of great eating easily available. And the croissants purchased warm from the boulangerie every morning — heaven! Alex and Isis could not have been more helpful on details before our arrival. And the apartment is everything the pictures and the description suggests, and more. 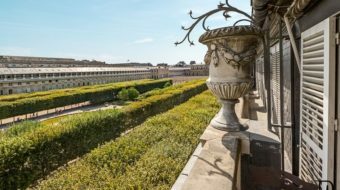 You cannot imagine the serenity of looking out onto the beautiful gardens of the Palais Royale — we truly felt like royalty. I must admit to being skeptical of renting, sight unseen, over the Internet, but this could not have been a more pleasant experience. If anything, it was beyond our most hopeful expectations. 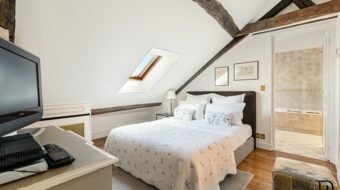 We would recommend Paris Vacation Apartments extremely highly. Bon Voyage! 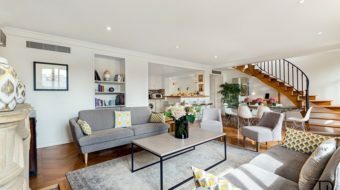 This apartment was far beyond our expectations! The location was ideal — the apartment much larger than expected and very, very comfortable for the six of us. Alex and Cecile were wonderful to work with and made us feel welcome and cared for. Fantastic apartment, great location, and great hosts. They really go out of their way to make sure you enjoy your stay and are set up properly. This apartment also has high speed internet, a real plus for us. Cecille set us up, and she was extremely helpful. When I come back, I’m going to look at all of the apartments Alex and Isis (i.e. 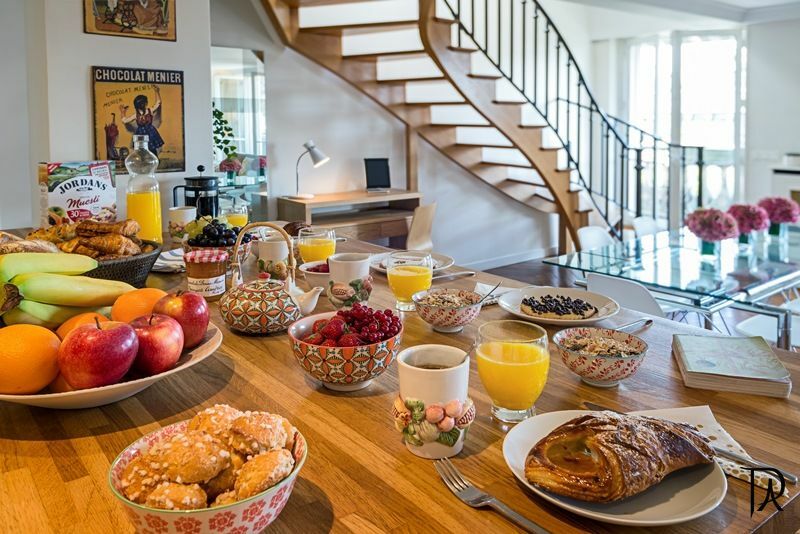 ParisVacationApartments) have available before anything else, as they really run a first class operation. Highly recommended. There is nothing more to add. A perfect 10 in every area. 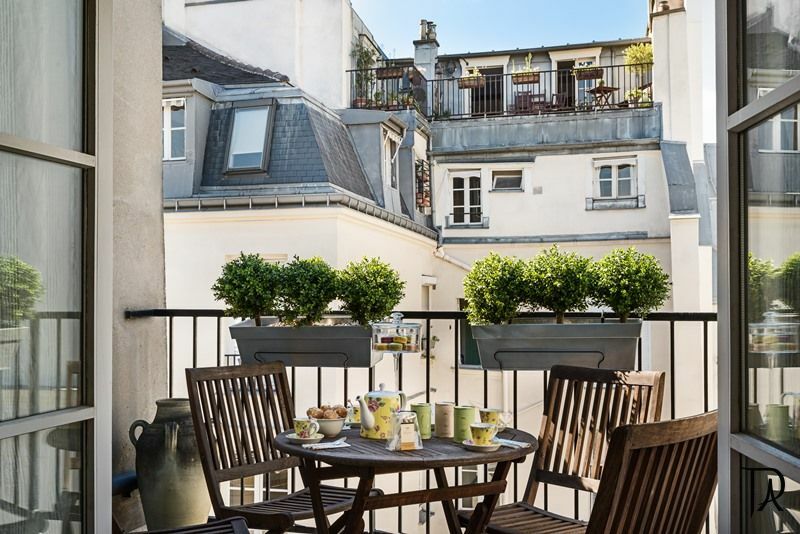 It is the only place we would consider for lengthy Parisian vacations with our family. 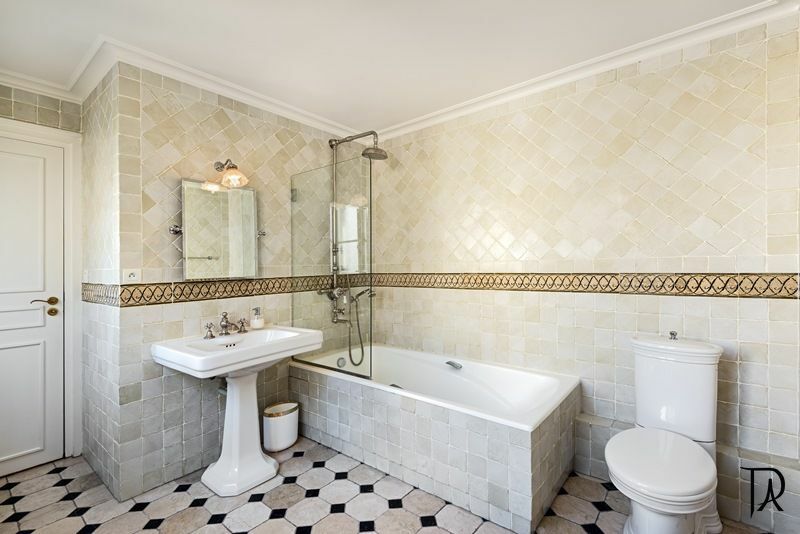 We found the Palais Royal 3 Bedroom apartment to be everything we could have dreamed of for a Paris vacation. 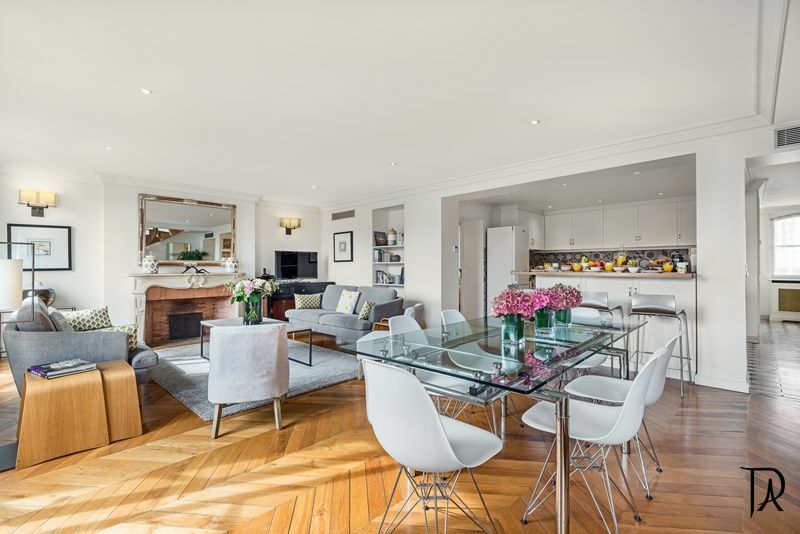 The apartment is absolutely beautiful, well-equipped, centrally located, has a gorgeous view of the Palais Royal Gardens, and is surrounded by exceptional restaurants and shops. Erica, Alex, and Isis could not have been more responsive. They made us feel completely at ease and capable of dealing with any issue. It was a real pleasure to meet Erica and Alex at the apartment. We cannot thank them enough for taking such good care of us. 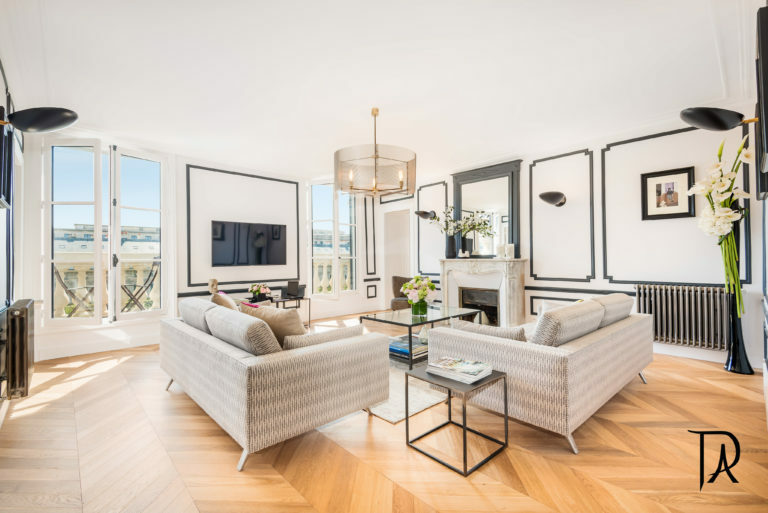 We highly recommend the Palais Royal 3 Bedroom apartment not only for the apartment itself but for the people that come with it. They are the best! 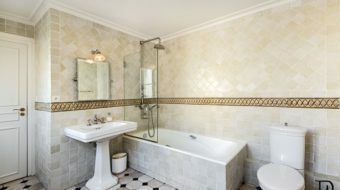 We stayed at the Palais Royale 3 bedroom apartment. It was terrific. 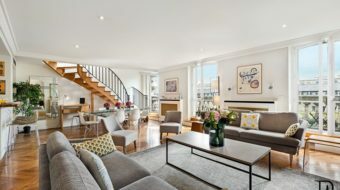 Everything was up to date and the location is great. We also appreciated the help we got from the owners who were always available. Can recommend this apartment without reservation. Best The apartment was beautiful, clean, well equipped, and superbly located. 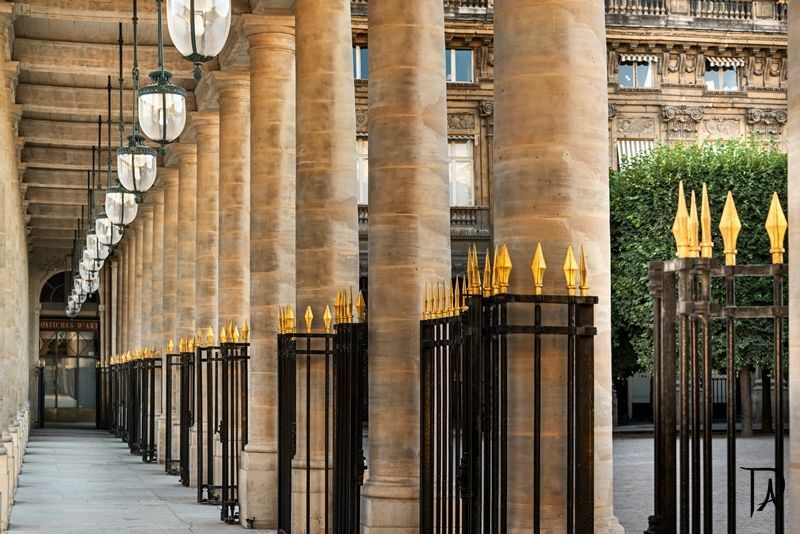 The Palais Royal gardents were a great place to jog every morning. Alex and Erica were very helpful and responsive to our comments and questions. We’d come back in a heartbeat. This apartment–and the great service from Alex and Erica–made our vacation PERFECT. We’ll never stay in a hotel again! We were a block from the Louvre, overlooking a lovely garden. The apartment was spotless, spacious and well-equipped. There was a binder in the apartment that located boulangeries, patisseries, restaurants, shops, etc. and complete instructions on how to use the laundry, cable system, etc. We were thrilled, and will be back soon! We traveled as a family of 6 and had a fantastic vacation. The apartment was spotless upon arrival and was kept that way by daily maid service. 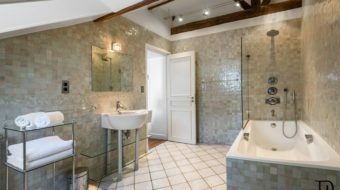 All of the full bathrooms were large, clean and modernized. The kitchen was set up nicely for cooking and eating and the washing machine was great to have. Alex was extremely helpful in arranging transportation ahead of time and met us upon our arrival at the apt. He was also very easy to get a hold of when we needed a dinner reservation one night. The apartment could not be in a better location and if and when we return to Paris, we would absolutely stay there again. A small list of things nearby would include: the metro, the Louvre, fabulous shopping, some restaurants and patisseries and a wonderful street market that is written about in one of the binders in the apartment (although it was a bit of a hike while carrying all of those grocery bags). 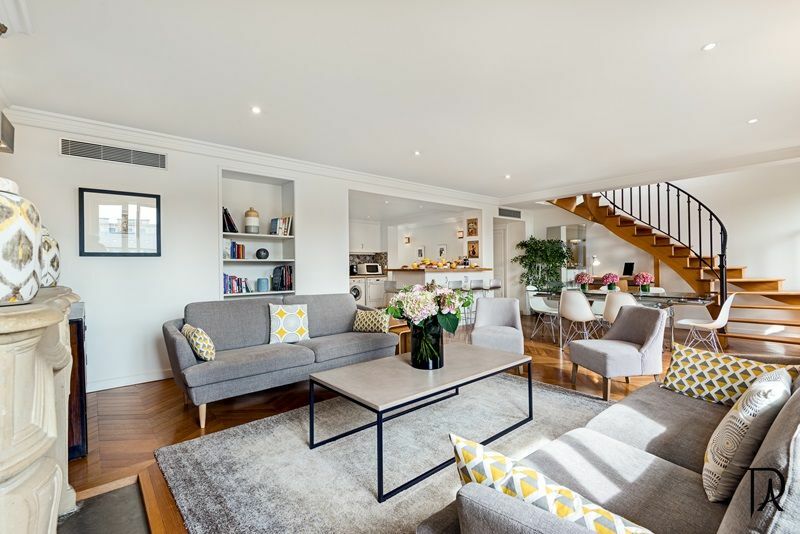 Assuming the price doesn’t scare you off, we highly recommend this apartment. We had a great time staying in this extremely comfortable apartment. 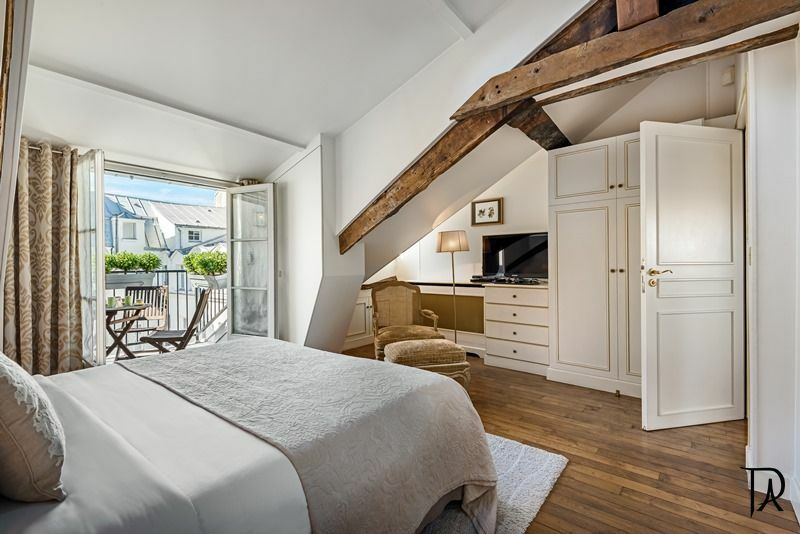 It was very conveniently located for us and our 3 teenage children to get around Paris, and had everything we needed, including washer and dryer – very useful – and hairdryers – luxury after travelling for 5 weeks prior to this without one as they add weight to the luggage !! Alex was always extremely helpful and easy to reach with any minor questions we had. The teenagers loved getting back to the apartment after an exhausting day sightseeing to jump into a warm bath and the fluffy bathrobes. Erica and Alex supplied wonderful details of supermarkets and restaurants etc. The kitchen had every tool we needed to prepare our own meals. We would certainly recommend the apartment. At first we were a little nervous renting over the Internet, but everything turned out great. The place was fantastic !! The apt was very charming and modern, location was very convenient to all major attractions. The service was excellent, and Alex was warm, kind and extremely helpful. This is a six star quality place. There could be no finer way to experience Paris! 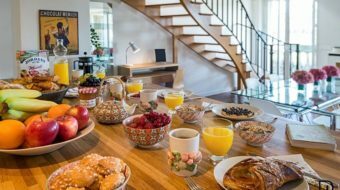 The apartment was extremely conveniently located–markets, Metro, museums, and cafes were all nearby. It was furnished in the most elegant as well as comfortable style. Everything had been thought of–hairdryers, robes, grocery staples. The flower arrangements were a delightful lagniappe. The best thing, though, was having Alex a mere phone call away. He was always happy to help us with the toughest or the most prosaic problem, and he always did so with a smile. This was a big plus, since as women travelling alone, we often needed some extra help. My mother, sisters, and I recommend this apartment (and Alex and Erica) highly. The location and ambiance were more than we expected. All problems, which were few, were handled immediately. Alex handled all of our reservations for dinner, cabs and all our needs extremly well. Erica even arranged a weekly massage for my husband . We felt very Parisian!! Only suggestion is that they place a fax machine in the apartment which will eliminate the delay in receiving faxs and give the renter the ability to send them as needed. We reommend this agency without hesitation and will use it in the future. Merci…….